Dr. Xiaosong T Zhao, MD is a Doctor primarily located in Hilliard, OH, with other offices in Dublin, OH and Dublin, OH . His specialties include Neurology. He speaks English. The overall average patient rating of Dr. Xiaosong T Zhao is Great. Dr. Xiaosong T Zhao has been rated by 14 patients. From those 14 patients 1 of those left a comment along with their rating. The overall rating for Dr. Xiaosong T Zhao is 4.3 of 5.0 stars. My husband went to see Dr Zhao,He scheduled an EEG. The nurse called with the results which were irr.He never followed through on what to do. The next thing we knew he had moved to Hillard.We were not happy with his follow up.He also did not like to repeat what he had said without a comment like:" I already told you. We didn't like his manner . 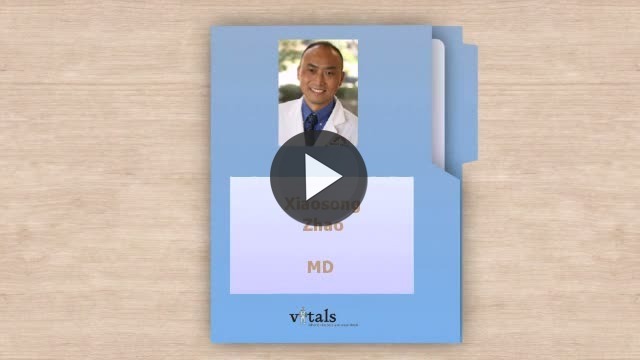 Take a minute to learn about Dr. Xiaosong T Zhao, MD - Neurology in Hilliard, OH, in this video. Dr. Xiaosong T Zhao is similar to the following 4 Doctors near Hilliard, OH. Dr. Xiaosong T Zhao Is this you? Have you had a recent visit with Dr. Xiaosong T Zhao? Select a star to let us know how it was.